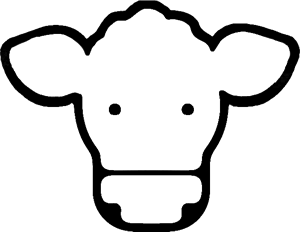 Few businesses match the 24-7-365 demand characteristics of the dairy industry. At Darigold, we process more than nine billion pounds of milk a year – all of it fresh and highly perishable – so our daily routine includes hard work, pressure to meet precise quality requirements, and frequent technical and managerial challenges. It’s all part of NDA/Darigold’s business. *We closed our Salt Lake City, Utah, plant in 2012 and our Medford, Ore., plant in 2015. Milk is almost immediately transported for processing seven days a week. Stainless steel tankers are a common site on northwest regional highways and in streets around our Darigold processing plants. Drivers are expert at on-loading and off-loading milk while optimizing gas mileage, monitoring vehicle weights, navigating mountain passes in all kinds of weather, sampling and monitoring milk temperature, following food security proce-dures, and proper cleaning and rinsing. Within about a day of milking, employees in Darigold’s plants have processed and packaged that milk into our high-quality dairy products on their way to market under both Darigold and private label brands. We distribute consumer products through U.S. retailers and foodservice customers, primarily in the West. We also provide dry ingredients to food processing companies in 24 countries around the globe. Rigorous quality assurance is built into our processes at every step of the way from NDA farms to consumers’ tables. Over the past five years, our total number of producer-members decreased by 16%, while our total milk handled and average daily production per NDA member increased by nearly 4% and 25% respectively. Click on each of the six phases of the lifecycle to see our impacts and actions. The dairy supply chain begins with growing crops to feed dairy cows. Cows primarily eat corn, alfalfa, and soybeans – but they also, through their special "magic," convert agricultural by-products such as almond hulls and discarded apples that would otherwise be destined for a landfill into nutritious food. Their manure is carefully recycled as nutrients back onto agricultural fields, reducing the need for oil-based fertilizer. The Pacific Northwest has among the healthiest cows and highest quality milk in the country. As a result, PNW cows are almost 15% more productive than the national average, and thus have a nearly 15% smaller carbon footprint. Water is re-used in a down cycling process multiple times on many of our co-op’s dairies. 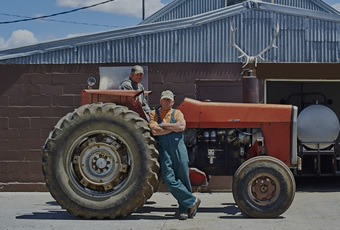 The members of our co-op – Northwest Dairy Association (NDA) – employ approximately 3,000 full-time farm workers, providing family wages that help support the economic and social vitality of rural communities. We produce not just fluid milk products but also cheese, powdered milk and milk nutrients. We have been building sustainability-related staffing and infrastructure since 2009. This has helped us improve our environmental compliance. Our continuous improvement efforts focused on both energy and water conser-vation have us on schedule for reducing consumption by more than 25% from 2009 to 2020. Our approximately 1,400 high-wage manufacturing jobs support families and the regional economy. We distribute our products worldwide via trucks, rail, ships, and air, with a dedicated logistics department working to reduce costs, time, and environmental impact. We use both paperboard and plastic packaging, and over the past seven years vigorous collaboration and re-design efforts have enabled us to reduce total volume of packaging by more than 600,000 pounds per year, saving nearly $500,000 annually. Darigold products are sold in the U.S. Western states and eight major regions around the world. We also supply almost all the major grocery store chains and many food processors both locally and internationally. Dairy products provide about 18% of the total protein Americans receive annually, along with nine essential nutrients for growing children, recovery fuel for high performance athletes, and a wide range of specialty nutrition for consumers across the entire human lifecycle. Customers, industry and cooperative associations, business media, and non-profit organizations have honored Darigold with many awards over the past four years, recognizing our commitments to excellence in manufacturing, marketing and communications, sustainability on our farms and plants, and contributions to the community.